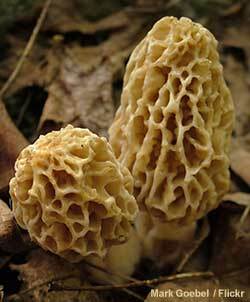 Michigan is home to three spring mushroom festivals, all of them focuses on the morel. Get outside and train your eyes onto the forest floor. Morel season is on in Michigan. “People are already finding the black ones around Jackson,” said Chris Wright, executive director of the Midwest American Mycological Information. That name roughly translates to “people who love growing and foraging for mushrooms.” The Farmington Hills-based nonprofit organization leads classes in safe mushroom foraging, which are required for people who want to sell mushrooms they’ve collected. Previous Post: Is peat moss green-friendly?